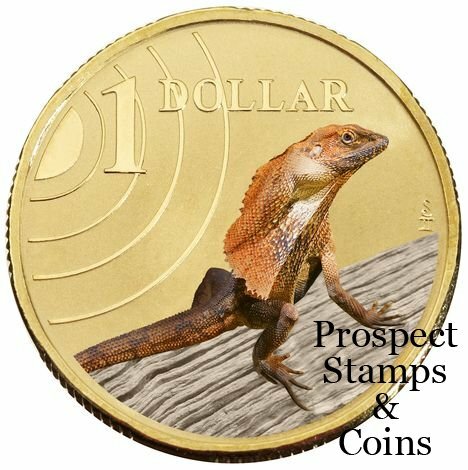 The Royal Australian Mint has released the next coins of the series of coloured pad printed dollar uncirculated coins. 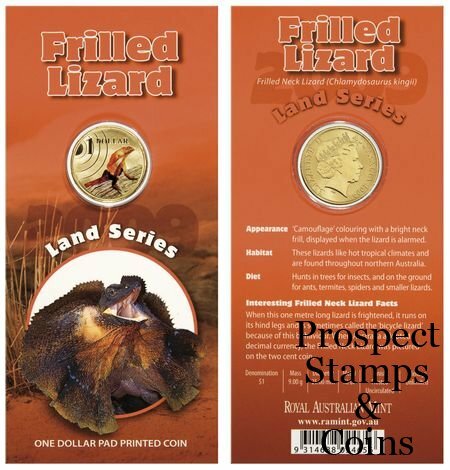 The Land series continues with the Bilby and Frilled Neck Lizard Dollar coins. The previous coins released in this series are the Wombat, Koala, Echidna and Rock Wallaby. All coins are presented in bright colourful packaging card.